Back in 2013 when Boinx software asked me to take a look at FotoMagico, I was getting tons of requests to do reviews, but I only had the bandwidth to write about the best of the best products. 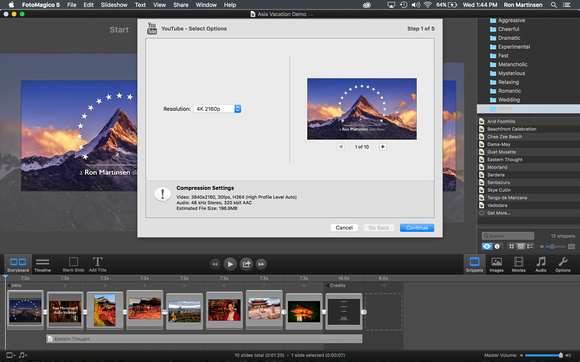 After taking a quick look at FotoMagico 4, I was very impressed and gave a very favorable review. Fast forward to 2016, and it was me reaching out to them as I was excited about the release of FotoMagico 5 which features 4k output plus lots of great user interface enhancements (see the press release below for full details). Boinx Software has just announced a new version of its premier slideshow creation tool, FotoMagico 5. This updated software program brings a combination of brand new editing tools and advancements to pre-existing features. 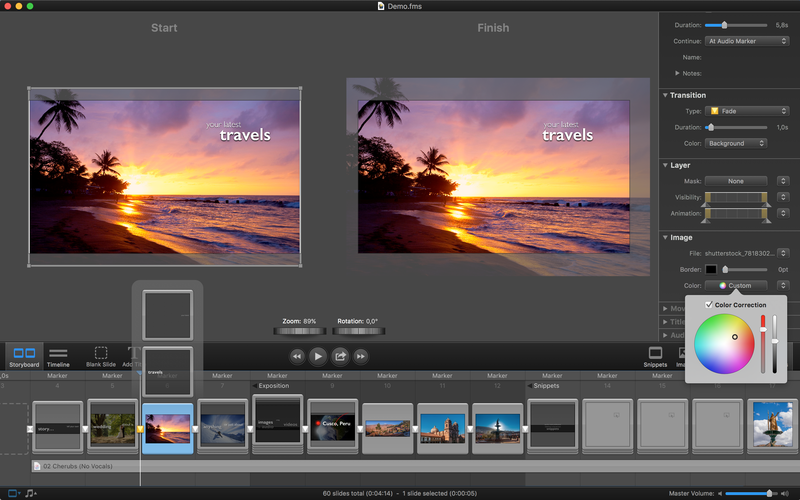 Among many enhancements, FotoMagico 5 now features a slideshow interface with pre-built stories called “Snippets,” Audio Envelopes and Fades to control audio levels, an Audio Marker Assistant to provide more precise sound editing capabilities, improved text editing and placeholders, and much more. The best way to create slideshows for your images just got way better with this release. It’s a no brainer upgrade for existing users, and a great addition to any photographer’s software workflow. It’s fast, easy to use, and the results are extremely professional looking at up to 4k resolution! It should be noted at this time this product is for Apple OS X only and there are no known plans to offer a Windows version any time soon. CLICK HERE to order or click here to learn more. Totally agree. It is the best slideshow program going. 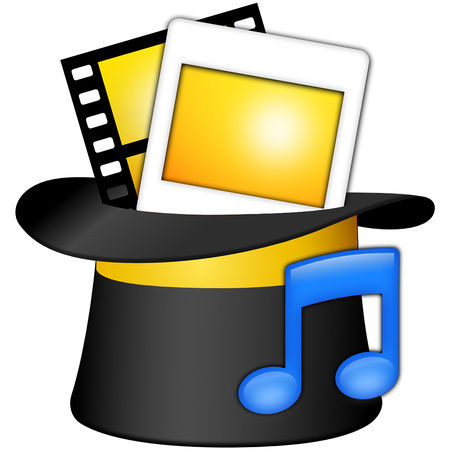 Ease of use and the ability to smoothly mix slides and videos, add soundtracks and upload or create .mov files makes it one smooth program. I am a professional underwater photo who often lead tours and the end of the week slideshow is always a highlight of the evening. With Fotomagico 5, I can do some pretty great things while sitting on a ship in remote Raja Ampat or back at home in the comfort of the office. Keep up the great progress. Thanks for a great review. I'm thinking of upgrading from Fotomagico 4 and was looking for a discount coupon code. I tried the one shown on your screen but Boinx doesn't recognise it. Any advice would be appreciated.